Earthly Delights has moved across the street! We are now Earthly Delights at Amy Zane! 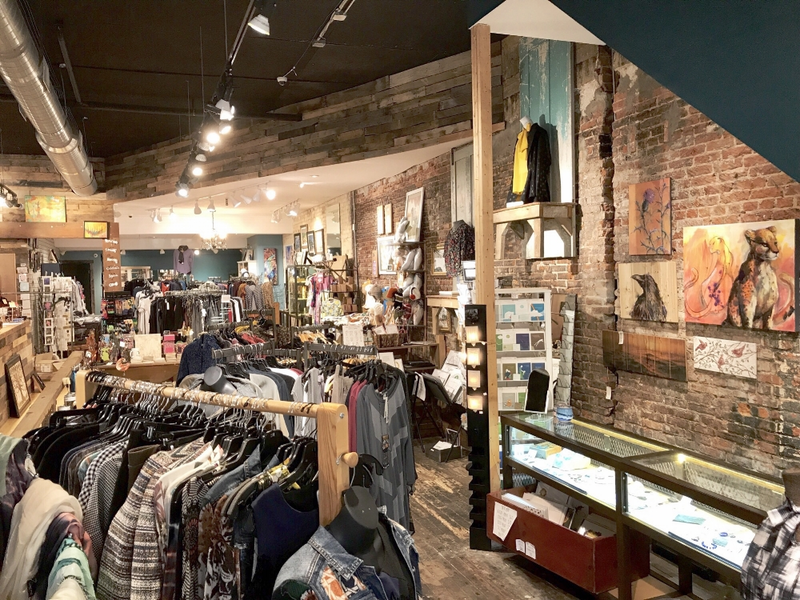 We have joined forces with Amy Zane, and now offer casual couture for you and your home—alongside fine, funky and functional art by Michigan and national artists. Stay tuned as we continue to unite our brands, philosophies…and our guests! earthly delights by amy zane is committed to curated, timeless, and durable fashion that flatters women's bodies, and makes you feel like you…and that you'll still want to wear in ten years. make your home as happy as you are—style it with creations by artists from your hometown, and beyond. you will find an endless array of fine, functional and affordable art at earthly delights by amy zane. we have new arrivals weekly, if not daily. come see our store on the downtown kalamazoo mall to find the perfect fit for you and your home. Thank you for signing up! Be on the lookout for special deals and announcements in your inbox soon.